Suchet Malhotra, a percussionist, started his training at the age of 6. “Harmony includes every note, and more – the harmony itself. We each are the notes, and together we are harmony”. 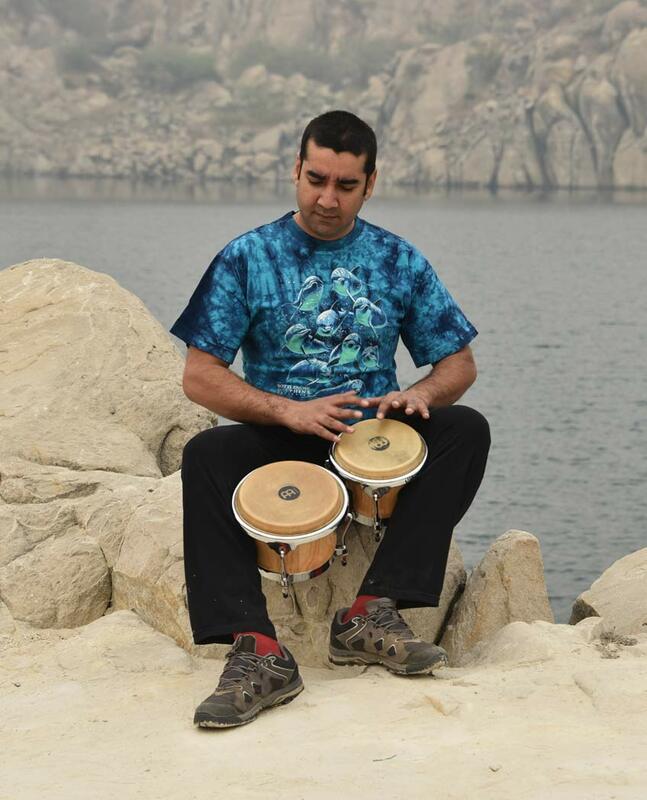 Suchet Malhotra is a percussionist and producer. His training in music started at the age of six, when he began receiving hindustani classical vocal taleem from his mother’s guru, Pandit DG Marathe of Pune, for a period of two years. Thereafter, at the Lawrence School, Sanawar, he studied the march drums, the bugle, the drum kit and the trumpet. In Chandigarh, he began learning the tabla at age 12, first with Shri Paramjit Singh of the Punjab gharana, and then from his guru Shri Pawan Kumar Varma. He also met and received guidance from Ustad Lakshman Singh Seen, the guru of Sh. Pawan Kumar Varma. After his family moved to Delhi in 1991, Suchet became the ganda-bandha shagird of Ustad Chhamma Khan of the Dilli gharana. This period was a fruitful time for Suchet as it laid the foundation for his study of percussion. His percussion work began with the darbouka, then the didgeridoo. The djembe, the cajon, the bongos and the framedrums followed, and today his repertoire of drums, percussion, native, ambient and tribal instruments encompasses instruments from around the world. Suchet Malhotra performs solo with his project Stories through Sound and with his west-African djembe group Sunshine Ensemble. He also works together with Glenn Louvet to present Naad Nidra, a monthly series of lying-down concerts. In the studio, he produces music for dance, theatre, puppetry, storytelling, animation and film projects. He is the organiser of Ethno India, a camp for world and folk musicians that takes place every second year in India.